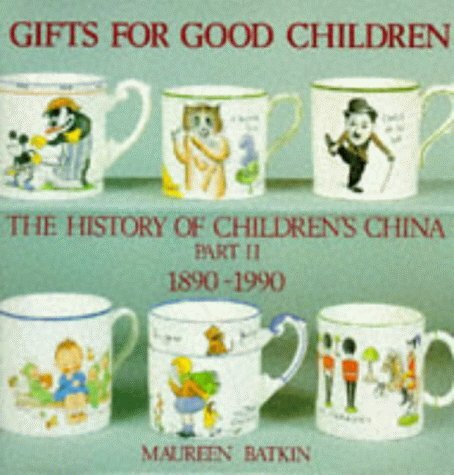 Gifts for Good Children 1890-1990 is the first book of its kind to identify the many manufacturers involved with the production of children's china. The author leads us through technical developments and social and economic changes showing how these are reflected in the decoration and production of the ware. Images on nursery wares tend to stay with us for life and, while most of the early wares were inspired by children's literature, later examples were more innovative. Extensive research into factory archives and contemporary advertising material has now provided fascinating insights into the astonishing diversity of twentieth century children's china. The main catalogue is alphabetical by factory name; design sources appear in a section devoted to characters from children's literature, film and television; and a separate section lists designers and illustrators. Noel Riley, the general editor of "The Elements of Design," is a specialist writer and lecturer on the decorative arts. A part-time tutor at Sotheby's Institute of Art, London, and a lecturer for the Worker's Educational Association, she contributes a regular column to "Historic House," the journal of the Historic Houses Association. Her books include "Tile Art, The Victorian Design Source Book, Gifts for Good Children: The History of Children's China 1790-1890, " and "Stones' Pocket Guide to Tea Caddies." She was a contributor to "Sotheby's Concise Encyclopedia of Furniture" and "Miller's Antiques Encyclopedia." 3. GIFTS FOR GOOD CHILDREN. PART I The History of Children's China 1790-1890.